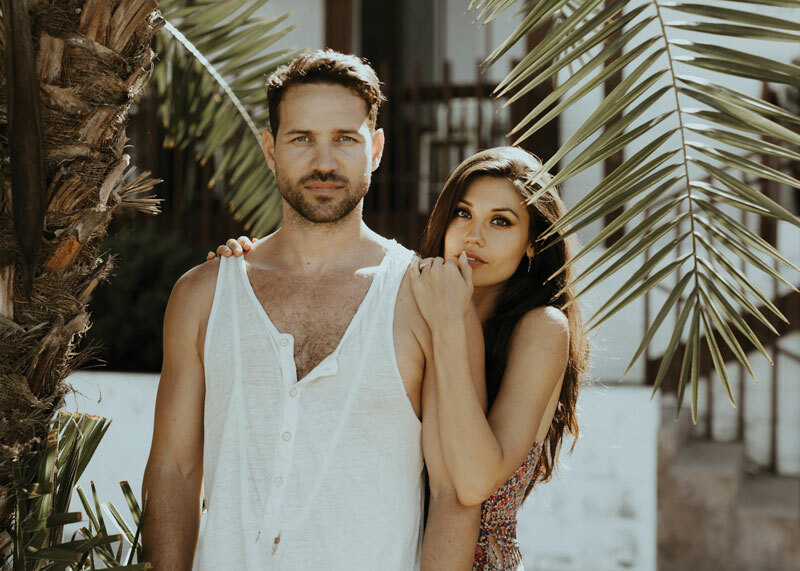 While Jeremy Byrne’s proposal to Britt Nilsson was inspired by her Motor City roots, the couple’s engagement photos showcase California’s natural beauty. LAST SPRING, Birmingham native and former The Bachelor contestant Britt Nilsson (now Nilsson Byrne) was greeted with flowers and rose petals after returning home from a walk with her then-boyfriend, Jeremy Byrne. A week and a half prior, Jeremy told Britt he was spending the weekend camping. But when he led her to the projector room in their Los Angeles home to watch a video he had made, she found out the reason for his trip was far more romantic. Although Britt and Jeremy currently reside in Los Angeles, the couple is looking forward to exploring metro Detroit — Britt’s childhood home — together as newlyweds. When Jeremy decided to propose to Britt, he had yet to meet Britt’s father. Since family is so important to the couple, he reached out to her father, Karl Nilsson, with a plan to visit Detroit to ask for his blessing. He also had the idea to document moments at Britt’s favorite hometown spots and show her a video of the trip prior to asking for her hand in marriage. In less than 24 hours, Jeremy and Karl, and at times joined by Britt’s mother and brother, visited Birmingham’s Hunter House, Bangkok Cafe in Ferndale, the train station in Detroit, the Hitsville USA house, Mexicantown, Greenfield Village in Dearborn, Lafayette Coney Island, and more. Called “Mission Propossible,” the nearly nine-minute video concludes with Jeremy and Karl at Cranbrook in Bloomfield Hills. In the video, Jeremy says, “So, Karl, I have a question I want to ask you about your daughter.” And then the screen fades to black. She said “yes,” and nearly three months later the couple wed in an intimate ceremony at a California ranch once owned by Jeremy’s great-grandfather. 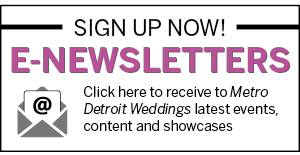 Despite how busy they’ve been — the couple honeymooned in Belize, maintain a YouTube channel with nearly 5,000 subscribers, and filmed an episode of TLC’s Say Yes to the Dress, which aired in January — Britt says she and Jeremy plan to return to metro Detroit soon to celebrate their marriage and to explore the area as newlyweds. Want to share your proposal? Send your story to rvoigt@hour-media.com for your chance to be featured in a future issue.